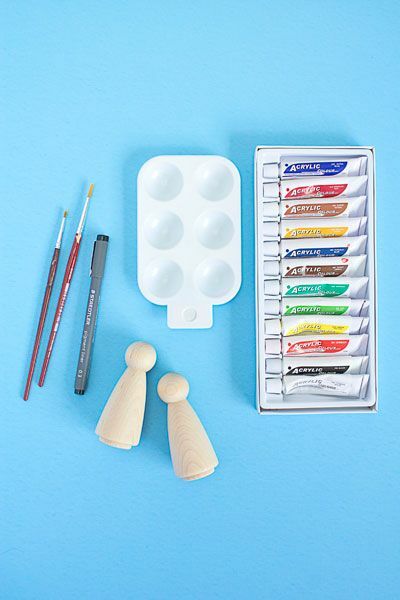 Painted Wooden Dolls – Hello Holy Days! 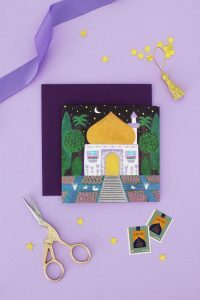 Inspired by Russian matryoshka dolls, we created our own little Muslim versions for Ramadan to represent the culture of Russian speaking Muslims living in North America. Complete with skull cap and scarf, the boy and girl are made to look like they’re coming straight from the medersa! 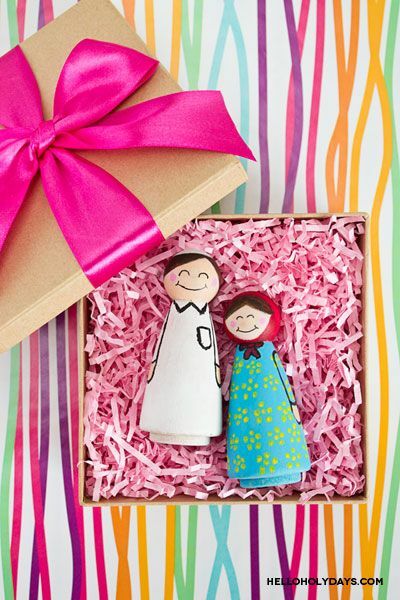 Pack the painted wooden dolls into a small box to create a lovely homemade gift for the kiddos in your life. Paint face, followed by a skull hat on the boy and a scarf on the girl, if desired. Paint in hair. Make outline of hands on the side of the body with black paint. Paint in hands with fill colour. Using a fine tip paint brush, add rosy cheeks. With ink pen, draw happy eyes and a smile. TIP: For a personal touch, paint your doll to resemble the child you intend to gift the doll to.